One of the most important steps in your journey to find the ideal franchise opportunity is what's known as validation. Validation refers to the process of interviewing franchisees who have bought into a concept that you have expressed interest in. It is during the validation process that you gain the most insight into whether a particular franchise opportunity is right for you. Franchise Disclosure Documents (FDD's) contain a list of every franchisee, and in most cases, contact information. You may choose to ask the franchisor for assistance in finding franchisees to speak to. However, it is strongly recommended that you seek out franchisees on your own. How has the franchisor's support been since you have been open for business? Most franchisors assign an employee, typically titled an area representative, to your location to periodically check in. This person's job is twofold. One, to assist you with day-to-day operations, and two, to ensure you are abiding by the guidelines set forth by the franchisor. Ask the franchisee what kind of assistance he or she has provided. How often do they make a visit. All-in-all, does the franchisee feel properly supported? Is the franchisor accessible when you need them to be? The area representative's assistance comes with limitations, and so someone from corporate will have to be contacted when concerns need to be escalated. Ask the franchisee what issues have arisen that led to them reaching out to a senior member of the franchisor team. Were they happy with the attention paid to their concern, and its resolution? The last thing anyone wants is to feel as if their investment is not important to anyone out of the corporate offices. How many hours a week do you work? Is that more, less, or about the same as you expected? Many who become an entrepreneur do so because they want the flexibility that comes with owning your own business. Yet that doesn't happen day 1. Most franchisees work a good amount of hours in the first few years. Ask the franchisee if they feel the investment has provided a better work-life balance. If the answer is 'no', do they see that in the near future? What assistance does the franchisor provide with marketing? Franchisees bring a lot of skill to the table. Perhaps they have a strong sales or management background. Or experience in the field the franchisor concept specializes in. What many don't have experience in is the marketing piece. All the grit and talent in the world won't mean anything if you can't drive traffic through your doors. Franchisors know this and work hard to help franchisees overcome it. Most have a designated marketing department that focuses on both national exposure and local level marketing. Ask the franchisee if they are getting their money's worth with regards to their contributions to the marketing fund. What local marketing efforts to they provide guidance with? How important is social media, and what tools do they recommend franchisees use? Are you happy with the financial returns to-date? Do you feel you are on your way to meeting all of your financial goals? Your gut says to start out the conversation with "How much do you make?" Don't. That's a very personal question, and one many franchisees may not be comfortable answering. Simply asking how happy the franchisee is with their financial performance will say a great deal. If they are not happy, what do they attribute that to? Do they see themselves overcoming current challenges and ultimately hitting their goals? Who knows, you may find a franchisee or two who is very open with their financials and willing to share any and all details. However, you won't find such a franchisee if one of the first questions you ask is about money. Establish a rapport first. Make sure this question comes later in your conversation. 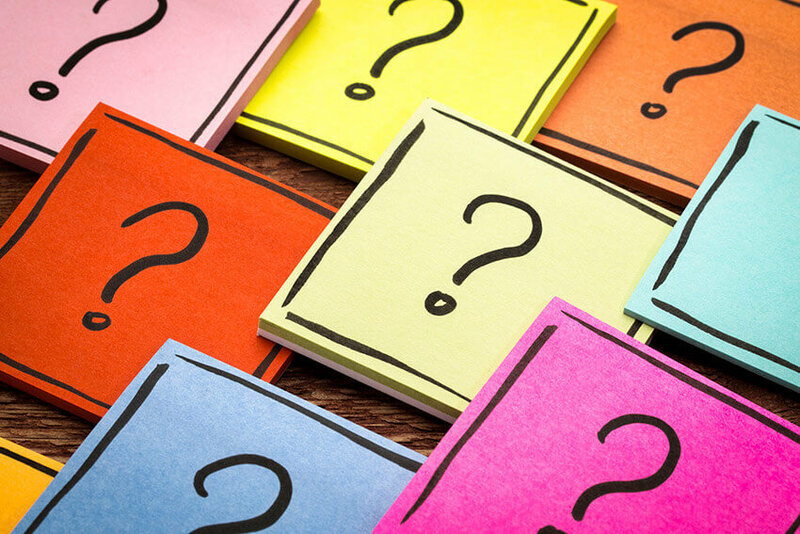 Wondering About the Right Questions to Ask Franchisors? It's also important to carefully question a franchisor before investing in any franchise system. You should never go into an investment blind, so we recommend checking out these top questions for franchisors.